Indian Vanity Case: IKEA To Open In India??? IKEA To Open In India??? 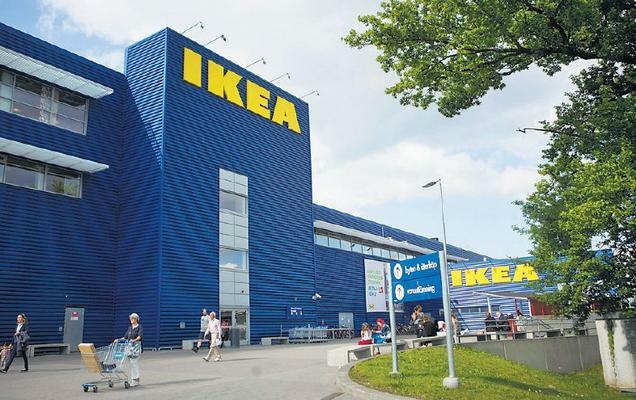 "IKEA has decided to enter India in a single-brand retail venture. It plans to open 25 stores, investing about INR 10,500 crore (US$ 2 billion) over the next 15 to 20 years. IKEA’s first India store is expected to open in 2014-15." ~ Ikea Wikipedia. Have I told you that most of the furniture & decor in our home here are from Ikea? I know this because I saw the stuff in the website during one of my visits to the website! Please go to ikea.com to see what all they have, because I like everything! Basically, I will buy everything from IKEA when, and if, we ever move into a new home when we're back in India. Please, let's all pray that it will happen! WE NEED IT! Believe me, I've been shopping in other home stores in Delhi, and either they don't have what you want or they sell them at exorbitant prices! Greater Noida, that's even better for us Delhi-ites. And if they sell online too, then it's good news to all of us! I can't wait for IKEA to open up. I live in Noida so hooray for me! haha. I like the 9k make up storage one. IKEA come to Bangalore!!! I love storage solutions from Ikea... I could spend days just browsing their displays! Amazing.. I have seen some great makeup storage ideas from Ikea !! I think my favorite thing about Ikea is that you can make the things on your own. It may be so much fun. We have just installed a brand new Ikea kitchen - thanks to my hubby who did everything from scratch. And it looks amazing. Yes it is coming to India. Sector-63 Noida. I read it somewhere. I am suuper happy about this. Oh you've got address and everything :D Now we wait for phone number too..haha..